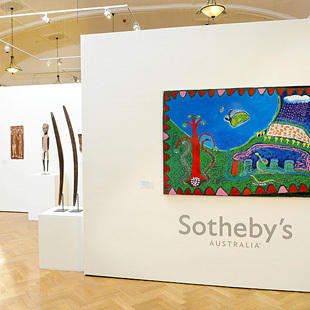 Sotheby’s Australia provides fair market value appraisals, appraisals for charitable donations, insurance appraisals for loans for traveling exhibitions, indemnification appraisals for government applications and auction estimates for sale. Sotheby’s Australia understands that selling works from an institutional collection involves a deliberate process and we assist at every step. We develop thoughtful sale and marketing plans in order to reach the broadest range of potential bidders. Whether an institution is looking to participate in a live auction or discreetly purchase a masterpiece through Private Sale, Sotheby’s Australia is able to assist We can offer advance notice about specific works available at auction or privately. From providing auctioneers for charity auctions to hosting museum boards and benefactors in our galleries for private exhibition tours, Sotheby’s Australia supports museums and not-for-profit institutions in a variety of ways. To learn more or if we may be of assistance, please contact us.